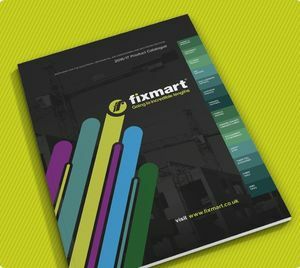 The new Fixmart catalogue is now available, read this news item to find out how to request your copy! We are pleased to announce the launch of our New Fixmart Catalogue for 2016/17. Click Here to Request your Printed Copy or visit our Literature page to download a PDF. Alternatively, simply quote CAT 2016/17 when contacting our Sales team for a copy to be despatched with your next order. This is our most comprehensive catalogue to date, covering our product ranges for the Electrical, Mechanical, Ductwork and Air Conditioning Sectors. Our focus is on supplying products that help meet specific requirements, such as time and labour saving, improving safety, reducing waste and supporting the overall quality of completed projects. With our technical experience and our commitment to provide both the service and products you need, we believe we can make a vital contribution to your success. We hope you can easily find what you’re looking for, but if you have any queries please contact our Sales team on 01322 274226 or email sales@fixmart.co.uk. Alternatively, our website will always be updated with our latest product offering. Explore our Range.